Brian and Leslie Rogers started Spectra Imaging in their 500-square-foot garage about seven years ago with a Mac mini and a Canon iPF8000. 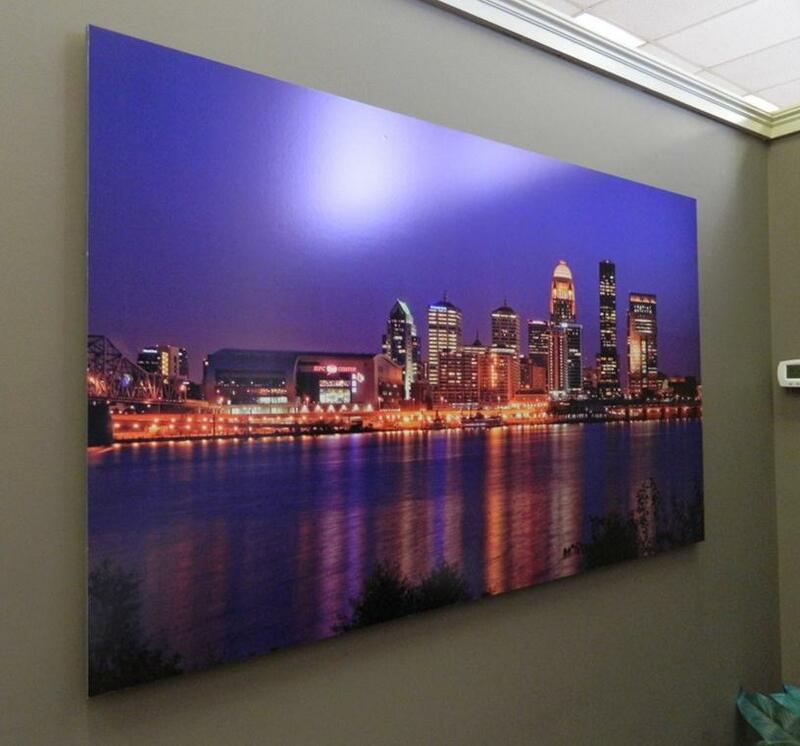 Since that time, Spectra Imaging has grown exponentially, eventually occupying 6,000 square feet of space in a Louisville, Ky., office building, adding additional employees and ramping up its production capabilities. While Spectra Imaging’s success is based on the usual ingredients – high-quality output, customer service and finding the right products for production – it’s the intangibles that have helped set the company apart. First, Spectra Imaging is debt-free. All of its equipment purchases are paid for, alleviating the additional burden that debt payments can have on a company. Second, Spectra Imaging emphasizes a show-and-tell approach to sales. Rogers says this is especially effective with Photo Tex PSA Repositionable Fabric from LexJet. Customers can see first-hand how easy it is to work with and how versatile it is in a variety of applications. Whatever the material used, Spectra Imaging is armed with physical samples and various options for a collaborative, consultative and ultimately productive meeting. “Customers are looking for something different and unique; they don’t want the same stuff they’ve been getting. LexJet has been instrumental in keeping us updated about new products we can add to our sample case so we can show customers what’s available and what they can do with them,” adds Rogers. 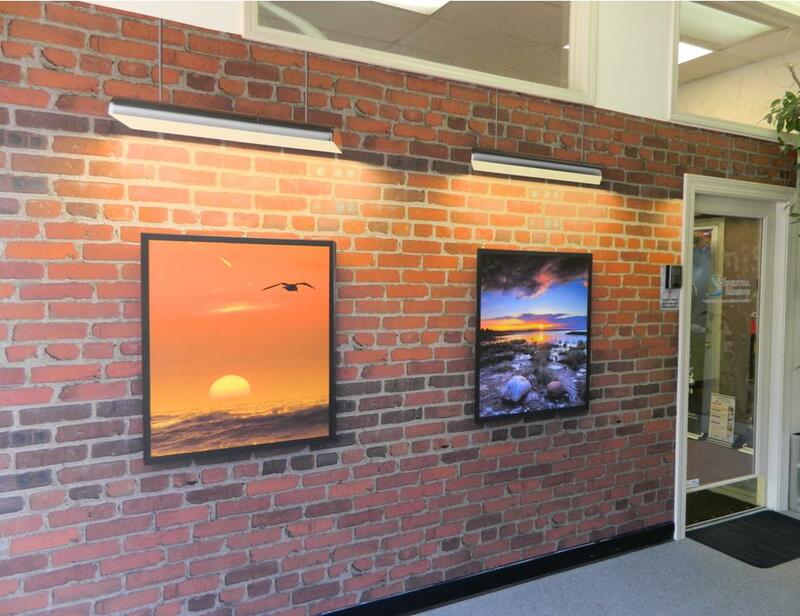 Spectra Imaging can provide just about any imaging product and service to its customers, including graphic design, scanning original artwork, printing and stretching canvas, custom framing and practically any large-format application. Now armed with two HP 9000 solvent printers, two HP Designjet 5000 aqueous inkjet printers and two Canon iPF8000s, as well as fabrication and finishing capabilities with a CNC router and a laminator, Spectra Imaging is well positioned to make its next move: hiring an additional salesperson and production specialist as well as adding more printer fire power. Rogers says his favorite materials are the aforementioned Photo Tex PSA Fabric (both Aqueous and Solvent), LexJet Simple Adhesive Vinyl (Semi-Matte and Gloss), LexJet 10 Mil Opaque Display Film, LexJet Production Satin Photo Paper PSA and LexJet Sunset Fine Art, Photo and Canvas media. Decorating drums with custom images is a real challenge. Though you can get the drums in hundreds of different colors and styles, from wood grain to pearlescent, it’s not very practical to apply photographs and other full-color designs to a drum kit. 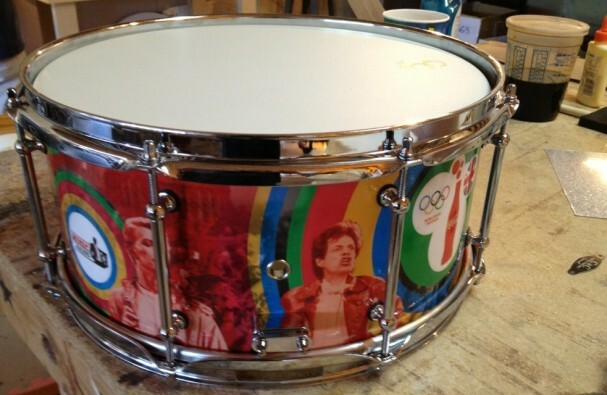 That may have all changed recently when custom drum maker, Bill Cardwell of C&C Custom Drums in Gladstone, Mo., decorated custom drums for the closing ceremonies of this summer’s Olympic Games. Cardwell was introduced to the material that would make this particular project work, and work well, by Mike Bertram, a doctor with a drumming habit who’s been working on a simple and efficient way to produce custom drum graphics. Bertram told Cardwell about LexJet Avatrex and the race was on to provide the custom graphics for the Olympics as quickly as possible since there were only a few days left to get them produced and shipped. Cardwell got the images from Coca-Cola, one of the sponsors of the closing ceremonies, and Bertram had the images printed in reverse on LexJet Avatrex and sent to Cardwell to apply to the drums. 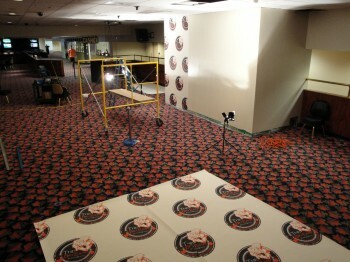 Cardwell says he applied the graphics with a drop of dishwashing liquid and water and it went on smoothly and easily. Avatrex is typically applied with heat and pressure for more permanent applications, conforming to the material to which it’s applied and essentially becoming part of that material. However, since this was a temporary application and time was of the essence, a “cold” application works just fine. With the large-format inkjet printing tools and media now at your disposal you can decorate just about anything, and turn the humdrum into something special. 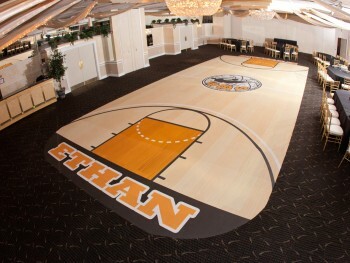 That’s exactly what Brett Feldman, owner of Unlimited Exposures, Manalapan, N.J., did at a recent bar mitzvah. The party planner, Marquis Florals & Event Design by Kim in Matawan, N.J., was interested in doing something completely off the wall, both literally and figuratively, and asked Brett if he could create a basketball court on the dance floor at the venue. 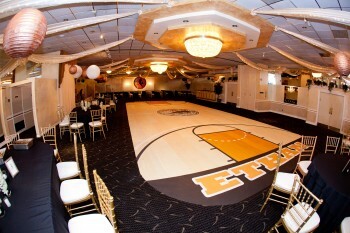 Having worked with Photo Tex PSA repositionable fabric from LexJet before, Brett thought this material would be the perfect one-night dance floor material. The total size of the basketball court graphic was 50′ x 20′. Brett printed it in 15 panels on his Canon iPF8300 44″ inkjet printer. Each panel was printed at about 38″ x 20′ and applied to the marble dance floor area, which is surrounded by carpet. Available from LexJet’s Nationwide Delivery Network this week is a new 1-mil clear polyester film with adhesive on both sides designed for applying temporary window graphics. LexJet FaceMount-X Removable Adhesive has a permanent solvent acrylic adhesive on one side where the graphic is applied facing out and a removable solvent acrylic adhesive on the other side where it’s applied to the inside of the window. The air flow release liner on the removable side makes installation quick, easy and bubble-free. 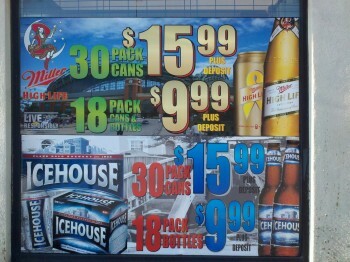 Once the promotion or campaign is over, the graphic is easily removed with no residue. 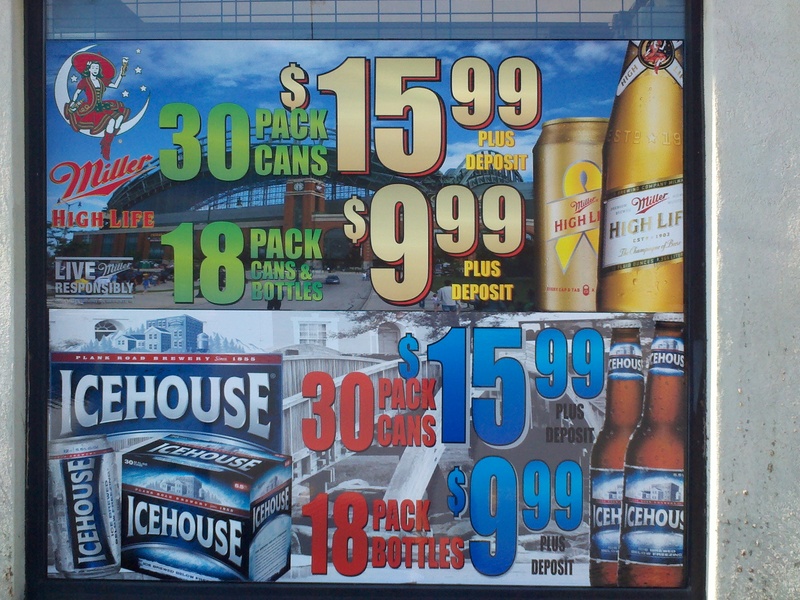 The removable adhesive is ideal for protecting the graphic from picky passersby and the weather, as well as sign code enforcers who don’t like graphics applied to the outside of windows. For more information about LexJet FaceMount-X Removable Adhesive, as well as LexJet’s line of window graphic products for any project or ink type, contact a LexJet customer specialist at 800-453-9538. They say (whoever they are) that, one way or another, the House always wins, so there’s nothing better than a situation in which everyone wins. 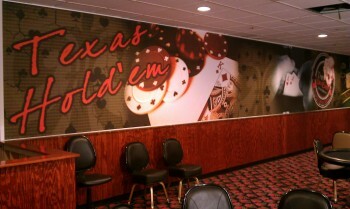 Such was the case with a recent wall graphics project Imagine This Banners completed for a casino in West Virginia. Image This Banners, headquartered in Charleston, W.V., covered four walls at the casino, effectively transforming those spaces and setting a unique atmosphere. Two of the walls were 50 feet long by 6 1/2 feet tall, another was 22 feet long and 8 feet tall, and the fourth wall was 15 feet long by 10 feet tall. 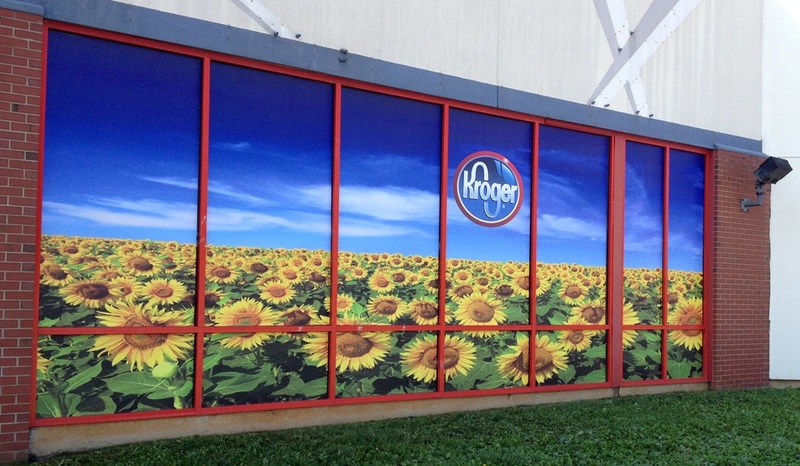 Imagine This Banners used Photo Tex PSA Fabric from LexJet for the project, and owner Greg Harpold says it was the first time they installed an adhesive-backed wall mural of this size though he’s been evangelizing on behalf of this application for years. Image This Banners, by the way, is the design and large-format printing arm of an international multi-media company with additional offices in Toronto and London that includes Jaguar Education, which produces educational materials for schools. “Large format printing was a natural spinoff for us; we enlarged our basic formats for posters, mascot banners, floor graphics, wall graphics, pole banners… you name it,” Harpold says. Harpold adds that he had previously pitched the casino on wrapping the walls a few years ago. The casino finally came around, designed a concept and called Imagine This Banners to see if they could pull it off. Harpold admits to being a bit nervous about the project since, as mentioned earlier, they had not completed a project of this scope with adhesive-backed materials. Fortunately, the choice of Photo Tex soon put any misgivings to rest. Greg Harpold, owner of Imagine This Banners, Charleston, W.V. Harpold says the client is “absolutely stoked,” all the way through the organization from top to bottom. Part of its success, beyond the relatively easy installation, was the color gamut provided by the Canon iPF9000 printer, which Harpold says is especially important for hitting flesh tones. 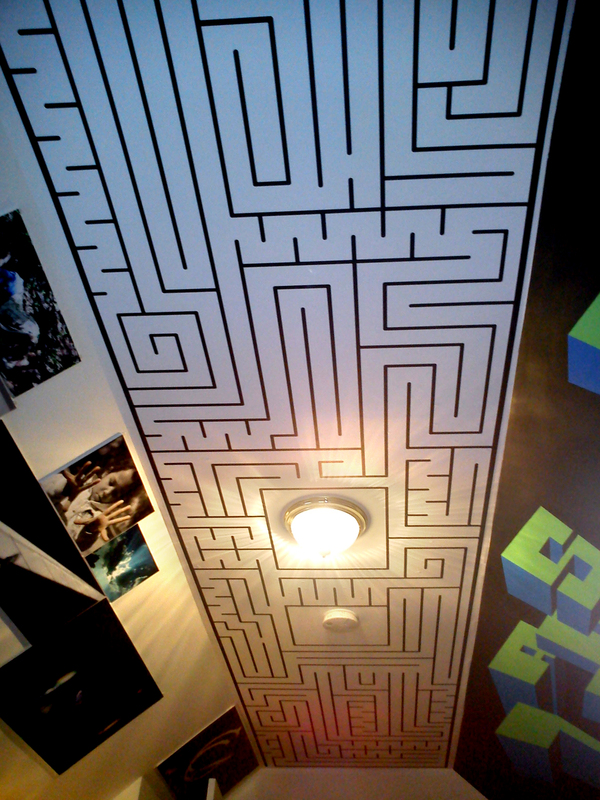 Zachary Arellano, production manager at Coyle Studios in Towson, Md., found the perfect accent for the ceiling of his room. The question was how to get it on the ceiling relatively easily. The design was a maze Arellano created in Adobe Illustrator, and he didn’t want the application of the maze to be a puzzle. The size of the maze art, which actually has a workable solution, is 42″ x 204″. It turns out that the ceiling is the exact width of the roll of material he bought. Arellano included two squares in the maze to account for the light and the smoke detector. Before application, he cut those holes out to fit the material over those obstacles. Arellano has a stash of laser pointers so visitors can try the maze with the pointers. It’s not only a piece of art or an interesting conversation piece, it’s an interactive game of sorts. It was also a great test for the material as Arellano says the company is looking for ways to implement it for commercial wall and ceiling murals and advertising.